Iraq risks a jihadist resurgence if it fails to tackle a critical drought and other climate-related security issues, according to a study presented to the UN Security Council and made public Saturday. 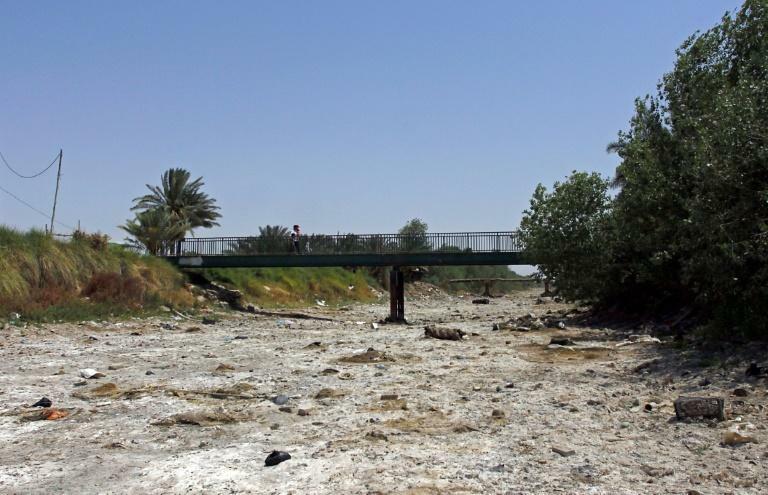 "The combination of its hydrological limitations, increasing temperatures and extreme weather events puts pressure on basic resources and undermines livelihood security for Iraq's population," the Expert Working Group on Climate-Related Security Risks warned in its report. "Failure to monitor and manage these climate-related risks will increase the risk of ISIS and post-ISIS terrorist groups gaining support and regaining strength within resource-constrained communities," it said. The jihadist organisation, also known as the Islamic State group, seized a third of Iraq's territory in 2014 before being beaten back in a sweeping government offensive last year. The water study, presented to the Security Council in July, draws a clear link between climate change and security. Iraq is in the midst of a devastating drought and water levels are at their lowest since 1931. The flow of water in the country's rivers has shrunk by 40 percent in recent decades, battering the country's agricultural sector threatening the population's water security. The shortage stems from the "climate change and increasingly erratic precipitation across the region, a decline in water flows from Iran and Turkey, weak irrigation systems due to damage to infrastructure during the war, and a lack of economic and political investment," the report read. "The absence of an adequate national water management policy exacerbates and compounds these critical threats." While the agriculture sector is Iraq's top employer after the oil industry, its ministry is alloted one of the lowest federal budgets. The Ministry of Water Resources also suffers financial constraints and has not been able to modernise the country's water infrastructure despite plans being in place for over two decades. Baghdad does not have formal agreements with its neighbours on equitable distribution of water resources. Scarce rainfall and dam projects in neighbouring countries have put more than seven million people living along the banks of the Tigris River at risk of displacement, the report said. Water shortages could also increase inter-communal tensions, particularly in rural areas, it added. The working group urged the UN's mission in Iraq to monitor and report on the risks of climate change and to support the authorities by integrating climate and displacement into their post-IS plans.